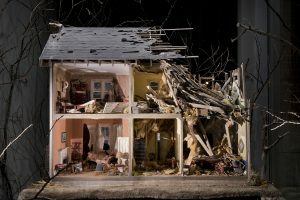 An abandoned house in the forest gradually collapses as time, nature, animals, and the elements take over and ultimately transform it. 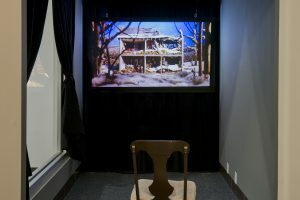 The work, Second Nature: FERAL by Veronica Verkley, reads as a time-lapse shot over several years, but in reality, it is a stop-motion animation shot over many months, with the ruin and decay painstakingly animated by hand. 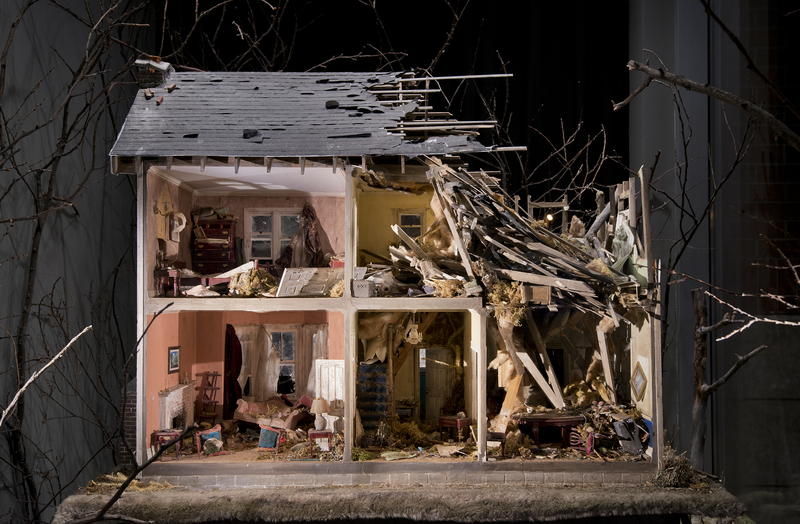 From destruction, there emerges a transformative beauty: the house becomes uninhabitable to some, but in its decay, it becomes refuge for others. Changes in our environment are nearly imperceptible unless sped up as a time lapse, then suddenly, trees spring up and fall back to earth; generations of species eat, sleep, reproduce, die; the very shape of the land fluctuates; days, nights, seasons, and years cycle; climate and ecosystems falter, improvise, regenerate, flourish. Life is resilient. Second Nature: FERAL focuses on these normally invisible fluctuations, on all the small shifts that secretly, inexorably, add up to epic transformations. 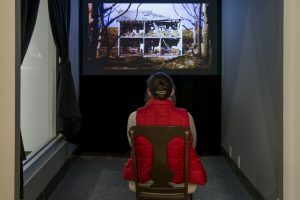 Veronica Verkley is a media artist and filmmaker who grew up in the wilds of southwestern Ontario and went on to develop a fulltime, wide-ranging artistic practice. 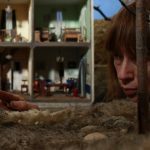 She has since relocated to the Yukon, where she was a founding faculty member of the Yukon School of Visual Arts (Dawson City), and where she maintains her practice in a home-built, off-grid bush cabin. 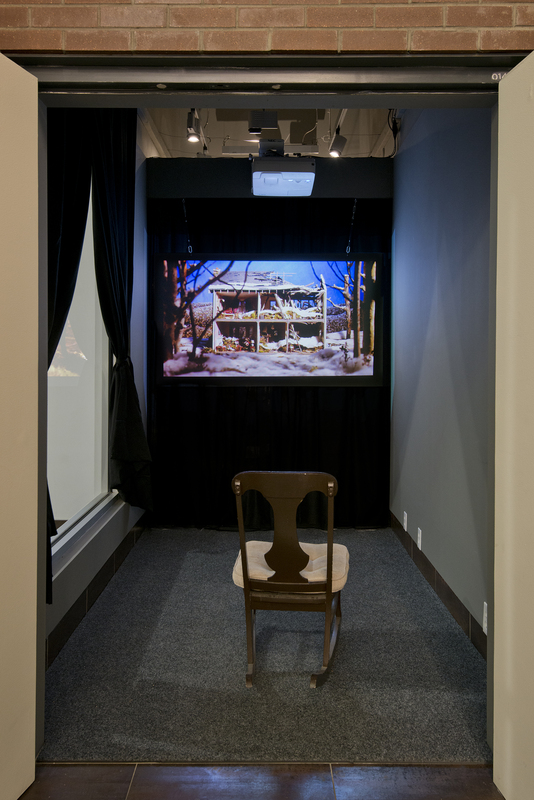 From the mechanical to the ethereal, Verkley’s work spans between installation, stop-motion animation, and kinetic sculpture. 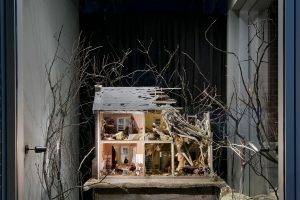 Her work is focused on ideas of Animal, and with animals’ experiments in traversing the often-strange environments in which they find themselves. 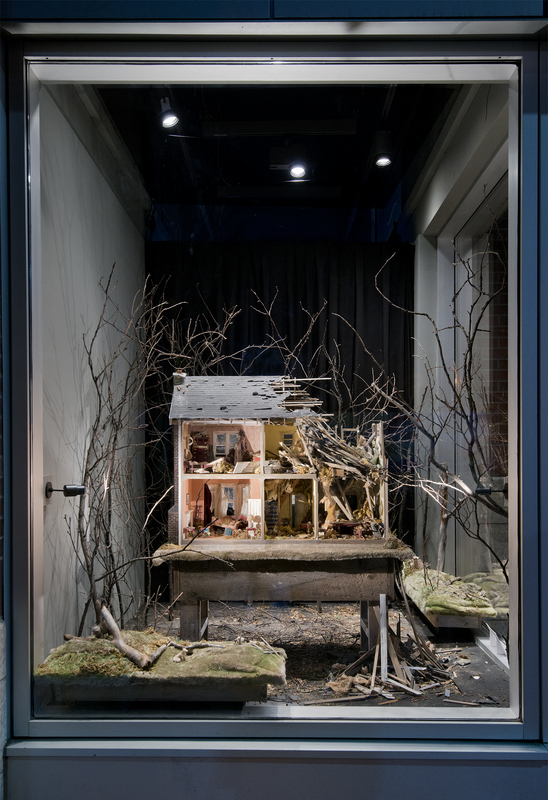 While using contemporary technologies, she often employs scavenged industrial and natural materials to explore the fragile beauty of the discarded and overlooked. 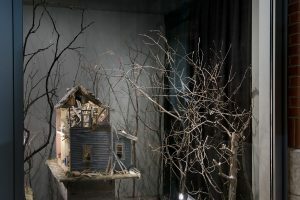 Additionally, Verkley has collaborated and designed extensively for film and television as well as live performance (theatre, dance, opera, and burlesque), including animatronics, art direction, puppeteering, and animation. Interview with Megan Kerluke: Head of Public Engagement. 30 October, 2017 to 21 January, 2018. Presented in the Esker Foundation Project Space. 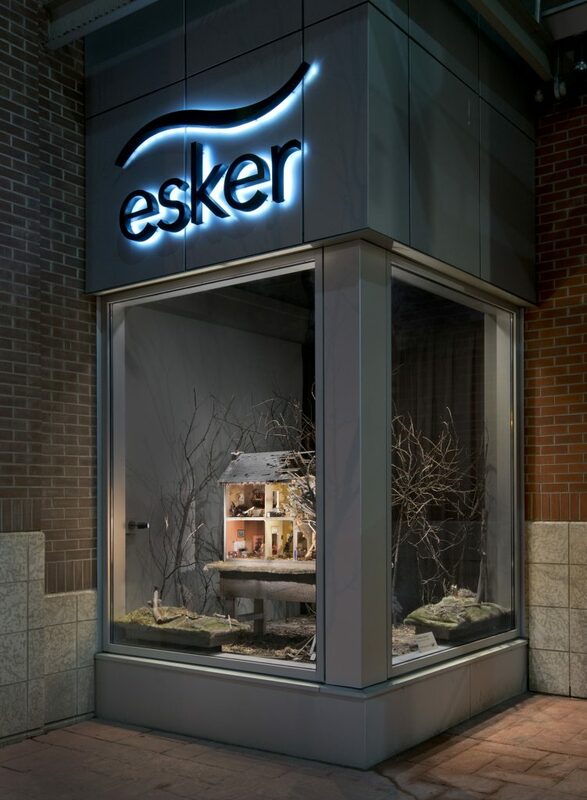 Esker Foundation provides free public programming to encourage participation and to increase accessibility to contemporary art. Programs are created in response to the exhibitions. All are welcome to attend. 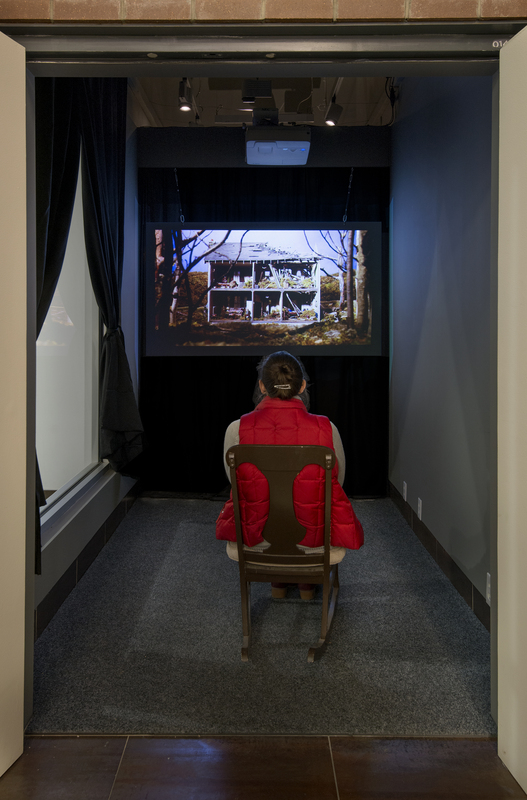 Join Yukon sculptor and filmmaker Veronica Verkley discussed the process and ideas behind her Project Space installation, Second Nature: FERAL. This animation details changes in our environment that are usually imperceptible unless they are seen as a time lapse. The shape of the land fluctuates, species eat, reproduce, and die, ecosystems falter and improvise. Second Nature: FERAL focuses on these unseen rhythms. Even as things fall apart, out of destruction comes renewal. Life is resilient. 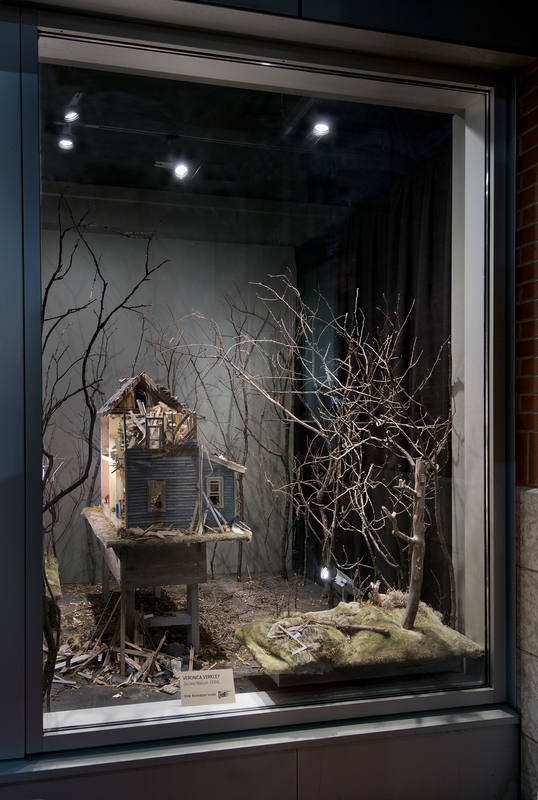 Following the talk, join us to celebrate the opening of Second Nature: FERAL, refreshments served with snacks generously provided by Sidewalk Citizen. 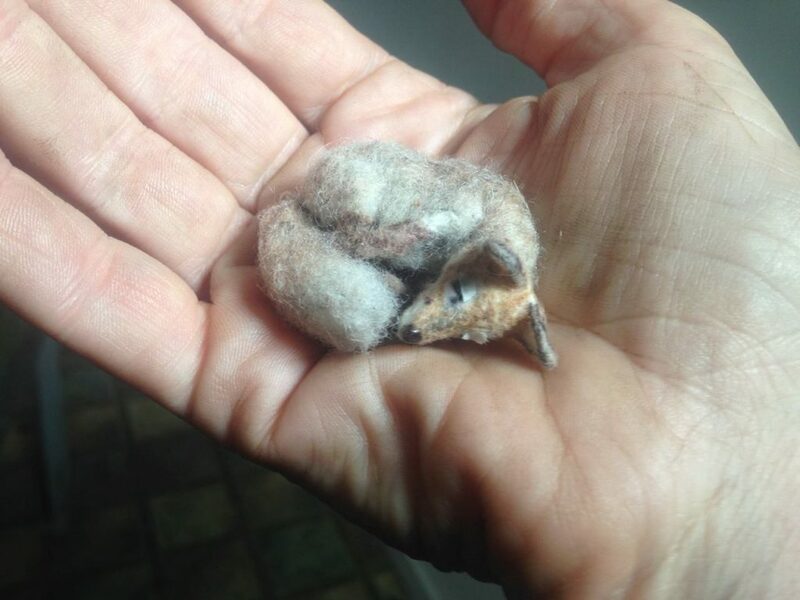 Inspired by Veronica Verkley’s stop-motion animation Second Nature: FERAL, on exhibition in the Project Space until 21 January, this workshop showed participants how to create their own ‘animate-able’ needle-felted animal (real or imagined) with an internal, poseable wire armature. 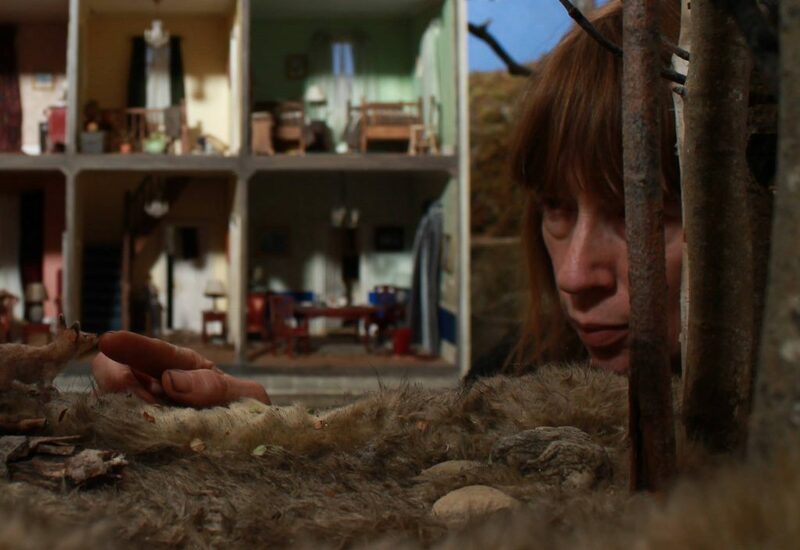 As time allowed, we also shot a short animation sequence with the puppets.